Anna (host of the podcast) has known Jillian for a very long time. They lived in the same building, would often see each other and interact on routine basis. Podcast starts with Jillian sharing a story that took place three years ago on June 3, 2014 when Anna saw her sitting on a bench outside the building. Jillian looked devastated and as a friend, Anna tried to console her. That day would have been the second wedding anniversary of Jillian but just a day ago, her husband broke up with her and that too on a phone. Jillian recently had a miscarriage, her mom was suffering from lung cancer (mesothelioma), and she was left shattered with this news. Anna sat there with her and they had this particular conversation which was about to reach its conclusion when Anna suggested Jillian to become a coach and mentioned about following Tony Robbins. 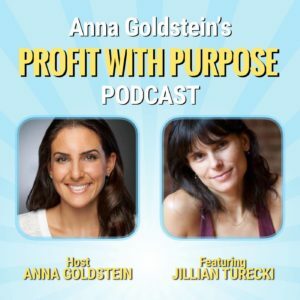 Jillian recalls that memory and remembers back then, it made no sense as to why Anna suggested her to follow Tony Robbins and become a coach herself. Over the course of next few days, Anna sent her a few videos of Tony Robbins and watching those videos helped Jillian to start a new chapter of her life. Every human needs to feel important and unique so they get a feeling that they matter. The need of the soul, we need to grow, anything that does not grow die so we need to feel we are growing. Opposite of growth is being stuck at something and whenever we are stuck, we feel sad.